Recently we are also working on mobile networking & becoming master in it. Here is some point that i would like to introduce bit in the field of Load Sharing in Telephone Exchange Environment. Is this information connected with our IT security platform ? yes definitely, Just find out how our telephone exchange work on wired or wireless communication ? Above cycle has particular meaning in the field of Telephone switching and signaling, studying mobile networking is very huge, i am sharing such points, to sake of understanding the Load balancing in Technology, lets compare that between telephone/mobile communication with Computer Networking.. Right ? Load Balancing is a computer networking method for distributing workloads across multiple computing resources, such as computers, a computer cluster, network links, central processing units or disk drives. 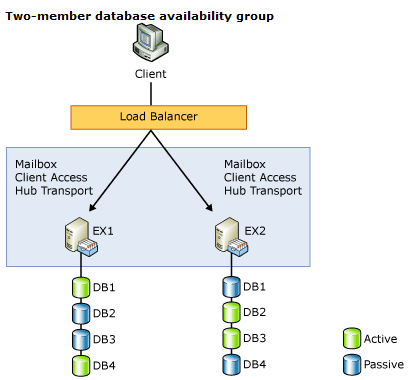 Load balancing can be useful in applications with redundant communications links. For example, a company may have multiple Internet connections ensuring network access if one of the connections fails. Check out the link to configure Load Balancing in ISA server here. Above figure give clarification on load balancer position in infrastructure, If our target is behind the load balancer then it will not respond that we are expecting in one to one connection. We have to observe lot in web auditing or Vulnerability assessment and penetration testing projects. Like target name, server name, session id during packet sent, date, time stamp etc..
Halberd discovers HTTP load balancers. It is useful for web application security auditing and for load balancer configuration testing. For an attacker, this information is crucial because he might find vulnerable configurations that otherwise (without mapping the real servers) could have gone unnoticed. But someone trying to break into a web site doesn’t have server software as its only target. He will try to subvert dynamic server pages in several ways. By identifying all the real servers and scanning them individually for vulnerabilities, he might find bugs affecting only one or a few of the web servers. Even if all machines are running the same server software, halberd can enumerate them allowing more thorough vulnerability scans on the application level.